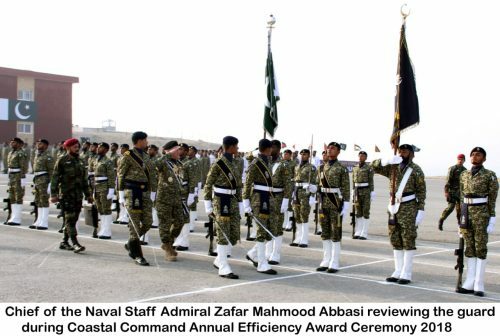 KARACHI (92 News) – Pakistan Navy Coastal Command Annual Efficiency Competition Parade was held at PNS QASIM, Manora. 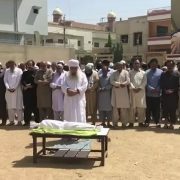 A statement issued by the directorate of public relations of Pakistan Navy said that Admiral Zafar Mahmood Abbasi, Chief of the Naval Staff graced the occasion as Chief Guest. Upon his arrival, the Chief Guest was received by Commander Coast, Vice Admiral Muhammad Fayyaz Gilani. 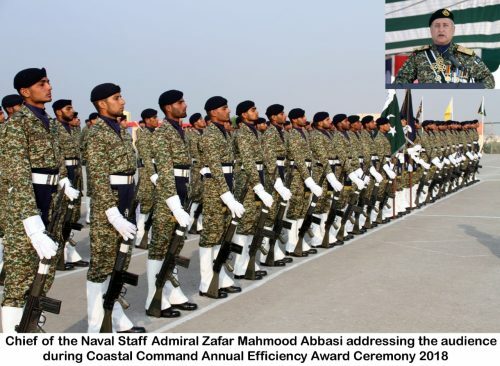 IT is worth mentioning here that the Efficiency Competition Parade is conducted annually by the coastal command of Pakistan Navy to mark the achievements of its operational year wherein the efficiency shields are awarded to the selected units based on their achievements throughout the year. 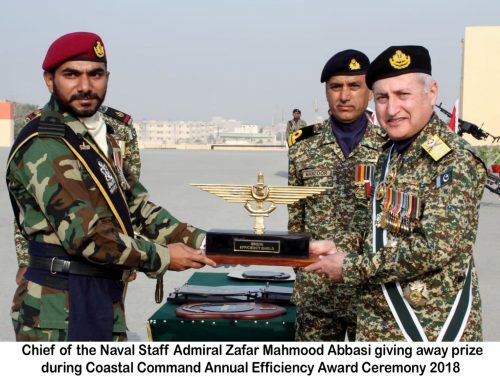 Addressing the ceremony, Admiral Zafar Mehmood highlighted that Coastal Command of Pakistan Navy has been entrusted with the onerous task of safeguarding the Coast from Sir Creek to Jiwani, under challenging internal and external security situation and harsh topographic environment. 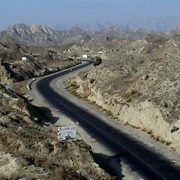 The naval chief also expressed satisfaction over operational readiness of Pakistan Navy in prevalent maritime challenges including security aspects related to Gwadar Port and maritime components of CPEC Project. 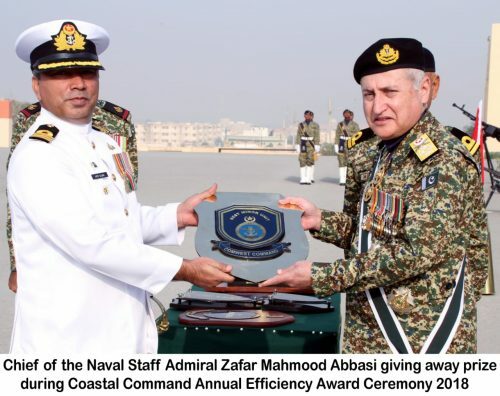 The Naval Chief reiterated Pakistan Navy’s unflinching resolve to ensure seaward defence of vital maritime infrastructure and protection of maritime interests of Pakistan against all threats and challenges. 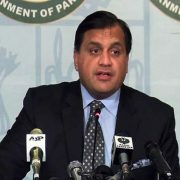 Admiral Zafar Mahmood Abbasi stated that Pakistan Navy is maintaining a robust security posture along the Pakistani Coast and in regional seas to deter the nefarious elements from any illicit activities. 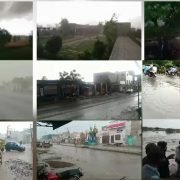 This effort, however, requires constant struggle and Pakistan Navy is ready to defend the motherland from all external and internal threats at all cost. 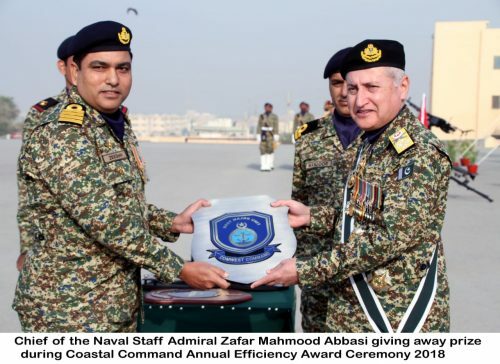 The Naval Chief emphasized upon the three pillars of Pakistan Navy’s vision for achieving desired goals which include Combat Readiness, Jump-start the Maritime Sector and Ideological Domain. 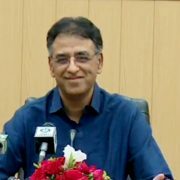 While emphasizing significance of Blue Economy and Pakistan’s Maritime potential, the Naval Chief remarked that for Pakistan’s economic prosperity, focus towards Maritime sector, its development and security is indispensible. 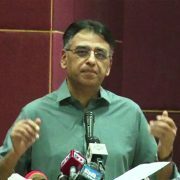 Admiral Zafar Mahmood Abbasi underscored various initiatives of PN including conduct of National Maritime Security Workshop, Seminars and linkage with Business community to provide an insight and a good grasp over what tremendous potential maritime sector holds and to tap these resources for the country’s economic prosperity. 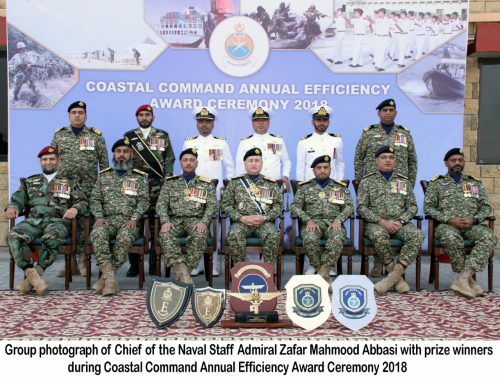 Earlier, in his welcome address, Commander Coast Vice Admiral Muhammad Fayyaz Gilani highlighted the operational achievements of Coastal Command and presented a resume of activities undertaken during the year 2018. 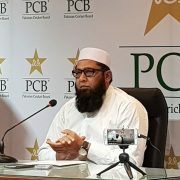 He stated that the Coastal Command, besides other operational activities had also actively participated in major Maritime Exercise “Seaspark 2018“. Later, the Chief Guest gave away efficiency shields to the units for their best performance, during the year 2018.